Are you the kind of person who likes to make resolutions? Or are they not really your thing? I’ve made a few promises to myself this year, but nothing over the top. 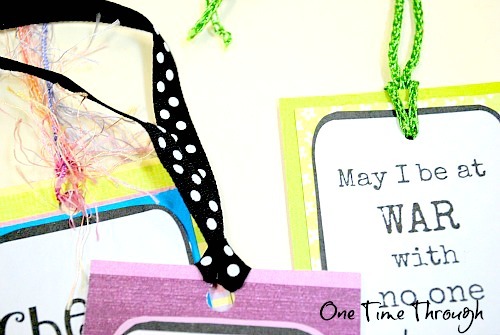 In fact, I find the whole idea of making resolutions – a little outdated. I would rather just work on accepting myself more for who I am (perfectly imperfect…or so I keep telling myself…) and try to keep seeking inspiration to gradually become a better person, mom, and wife. Would you like some inspiration to start the new year too? If your answer is yes, I hope you’ll enjoy today’s post as much as I enjoyed creating it. I’ve found 8 awesome motivational parenting quotes to get you thinking about life, parenthood, and love. 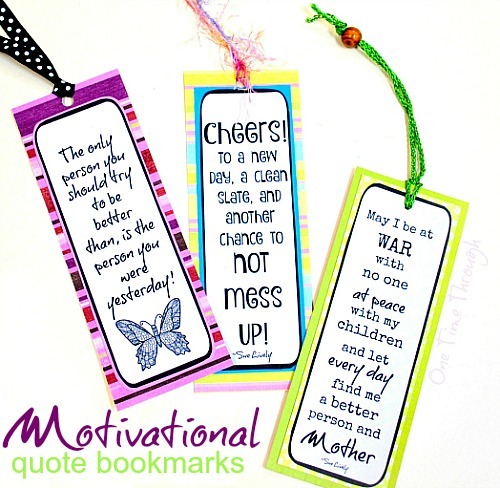 And creatively translated a few of them into fun bookmarks so you can keep their inspiration close! What do you hope to accomplish this year? This quote might give you some ideas! Looking forward to those little positives each day fills me with joy. What about you? Are you tired of trying to be the perfect parent? Why not change your focus? Had enough of fighting, nit-picking, criticism? Take this pledge with me. Because if we can’t laugh about our mistakes…then we’re really in trouble! Gotta love Helen Keller! Man that girl knew how to live life! Let’s agree to focus on all the things our kids do that are wonderful! Because the people around us can help support us, or make life more difficult. What will you choose this year? That’s it for the quotes. 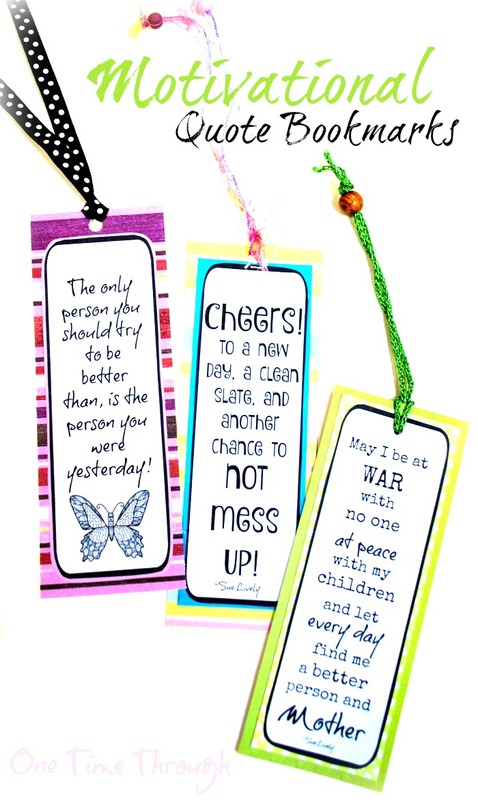 I hope you enjoyed reading them and I’d love if you printed off my favourite three quotes as free bookmarks! Click HERE to DOWNLOAD them! Do you have a favourite quote that you turn to for inspiration? I’d love to hear it. Or do you have your own version of one of the quotes above? Leave me a comment below. To a peaceful and positive New Year with our families!